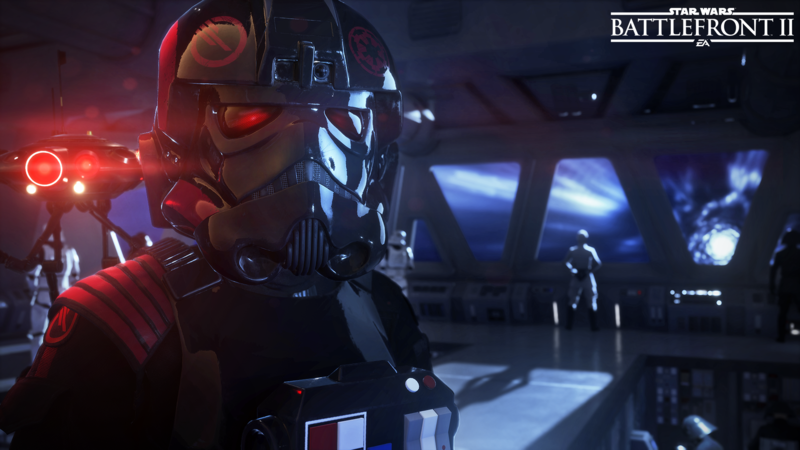 Star Wars: Battlefront 2 puts you in control of even more famous heroes and villains in the war to save (or control) the galaxy. Here's a quick list of all the hero characters that are confirmed so far. 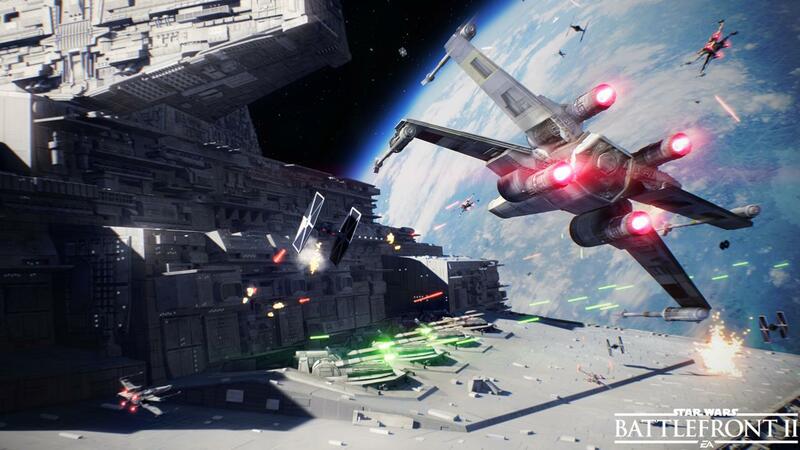 Like the first Battlefront on Xbox One, PS4 and PC, Battlefront 2 sends the player to iconic Star Wars locations. 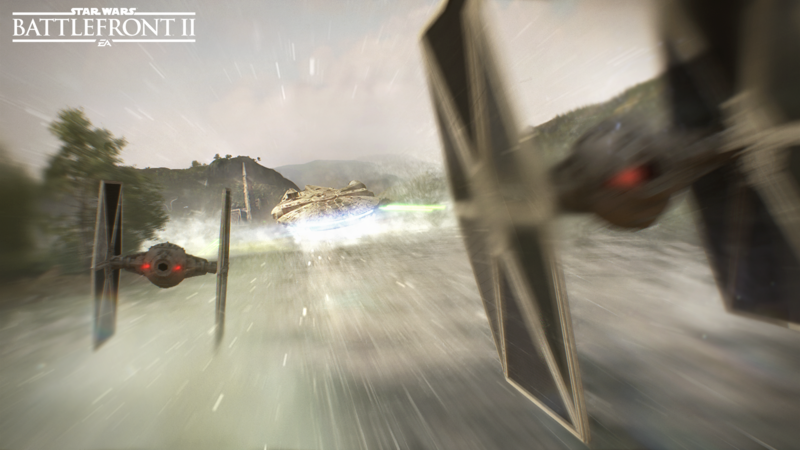 Playing as either a regular soldier for the Rebellion or Galactic Empire in grand multiplayer battles, you'll sometimes get a shot at piloting super-powered heroes like Luke Skywalker or Darth Vader -- unstoppable characters that can easily cut a swath of destruction through the normal rank-and-file. 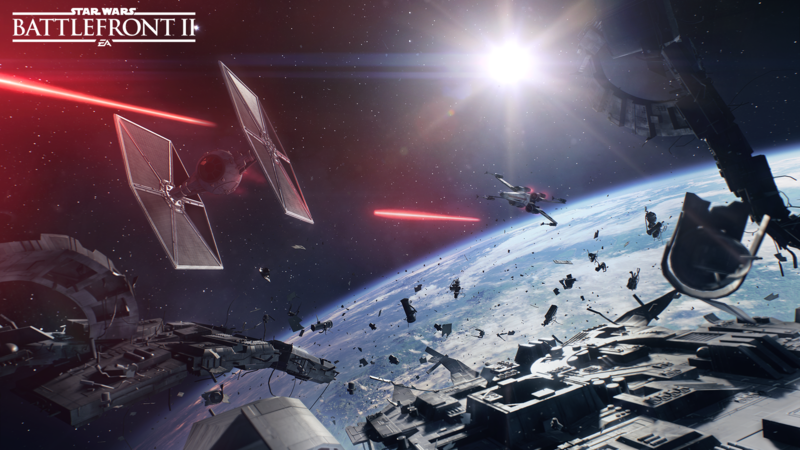 Heroes are coming back in Battlefront 2, and the roster has been expanded quite a bit from the paltry selection in the previous game. Check out all the heroes that have been confirmed so far. Update [6/12/17]: Added DLC Heroes Captain Phasma & Finn. The lovable rogue Han Solo is a fast-shooting space smuggler and captain of the Millenium Falcon. 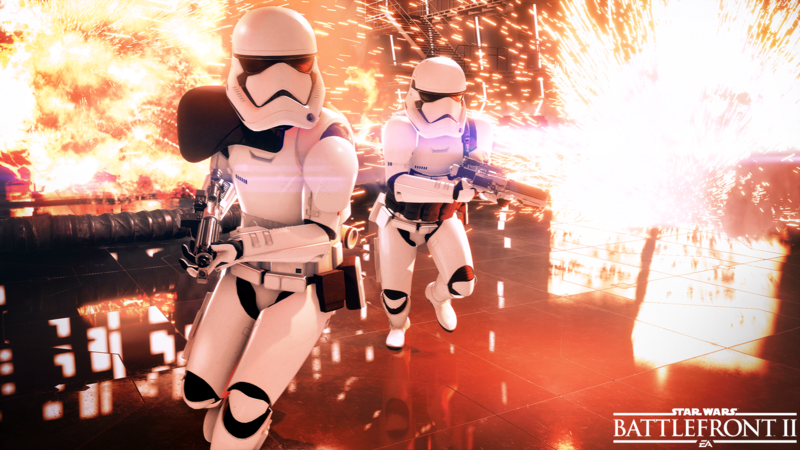 While he isn't attuned to the force like Luke, Yoda, Kylo or Maul -- his deadly accurate blaster and explosive abilities give him long-range edge in Battlefront 2. Han Solo is a returning character. A reckless scavenger and a newly christened force-user who first appeared in The Force Awakens, Rey has mastered a variety of force powers in Battlefront 2. Relying on her lightsaber, she can use a Dash Strike to close the distance, avoid combat with her Mind Trick, or spot enemies with Jedi Insight. Rey is a brand new character to Battlefront 2. The little green hermit that turns out to be a Jedi Master from The Empire Strikes Back made his combat debut in Attack of the Clones, and cemented his place as a playable character in future video games. This pint-sized character moves faster and fights harder than anyone would expect, hopping and bouncing around to match the stature of his taller opponents. Yoda is a brand new character to Battlefront 2. A lowly farm boy from Tattoine becomes a Jedi in the original Star Wars trilogy. As the son of Darth Vader, he is born with innate force abilities. We're getting the younger version of Luke as a playable hero, though he does appear in The Force Awakens, and is set to play a larger part in The Last Jedi. Luke is the face of the franchise, so there's no doubt he'll appear as a playable hero in Battlefront 2. Luke Skywalker is a returning character. A former stormtrooper, Finn turns against the First Order and helps Rey take down the immense Starkiller Base. Like Han Solo, Finn doesn't have any innate force powers, but he's a tactical fighter that's a step above the rest. Finn first appeared in The Force Awakens. Finn is a brand new character to Battlefront 2. Although he won't appear in the base game, he's set to appear in free DLC at a later date. The almost-mute villain of The Phantom Menace strikes a dangerous silhouette in Battlefront 2, using his double-bladed lightsaber to cut through his opponents. As a dark-side Force User, he can Choke opponents from a distance, throw his saber, or dash forward with a spin attack. Darth Maul is a brand new character to Battlefront 2. A deadly bounty hunter, the masked man known as Boba Fett is the cloned son of Jango Fett. Using old Mandalorian Armor and equipped with rockets, a jet pack, and a powerful blaster carbine, Boba Fett is a mobile and deadly hero that works exclusively for the Empire. Boba Fett is a returning character. The imposing, silver-armored stormtrooper Captain Phasma is one of the most striking characters in The Force Awakens. 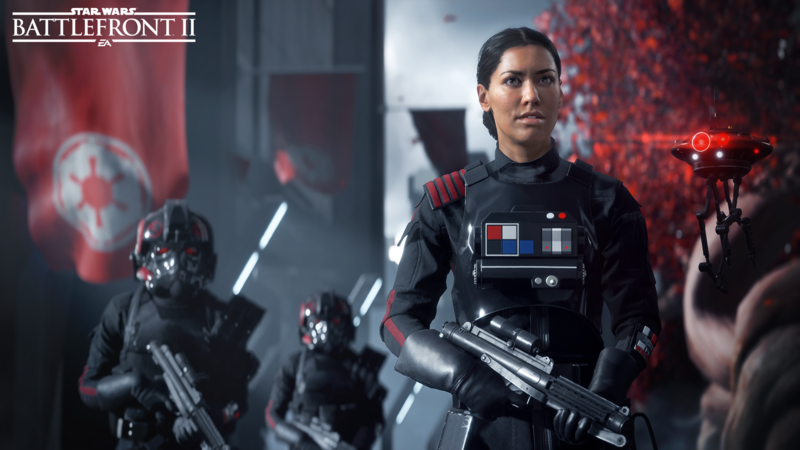 While she doesn't do anything cool in her first appearance, she'll make up for it in [I]Battlefront 2[/i]. As a killer ranged combatant, she's sure to include thermal detonators, a strong blaster, or other non-force abilities. Captain Phasma is a brand new character to Battlefront 2. She won't appear in the base game, but will be added later in free DLC. The son of Han Solo and Leia Organa, this powerful force-using descendant of Darth Vader is the top Sith in The First Order. He's a hate-filled, cruel loner with his own set of dark-side abilities to unleash on the Resistance. Kylo Ren first appeared in The Force Awakens. 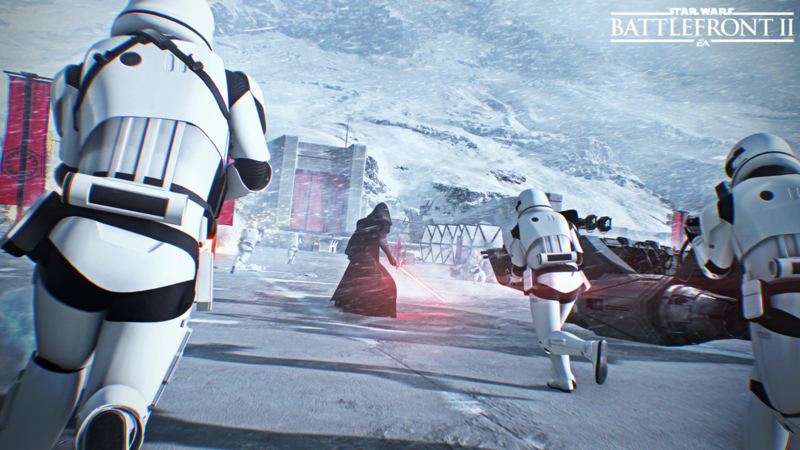 Kylo Ren is a brand new character to Battlefront. That's all the character we know about so far. New characters will be added to the list as they're revealed.